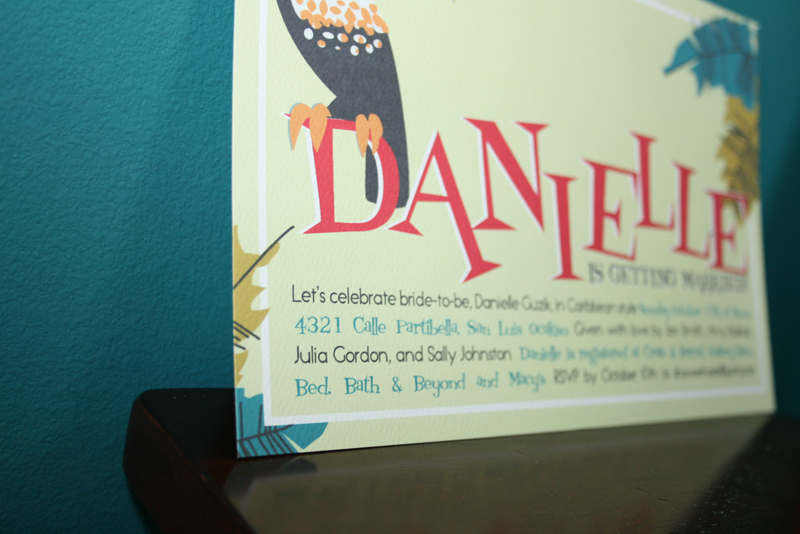 Last fall I had a ‘flient’ (again: friend+client=flient) who needed invitations for a Caribbean bridal shower she was hosting. What a fun idea! I was on board as soon as I heard the theme. So many of my designs are inspired (or, let’s be honest, downright copied) from other brilliant minds. I usually scour the internet or books to get the creative juices flowing before starting a project. I found the awesome image above online and thought it was the perfect inspiration for the shower’s theme. 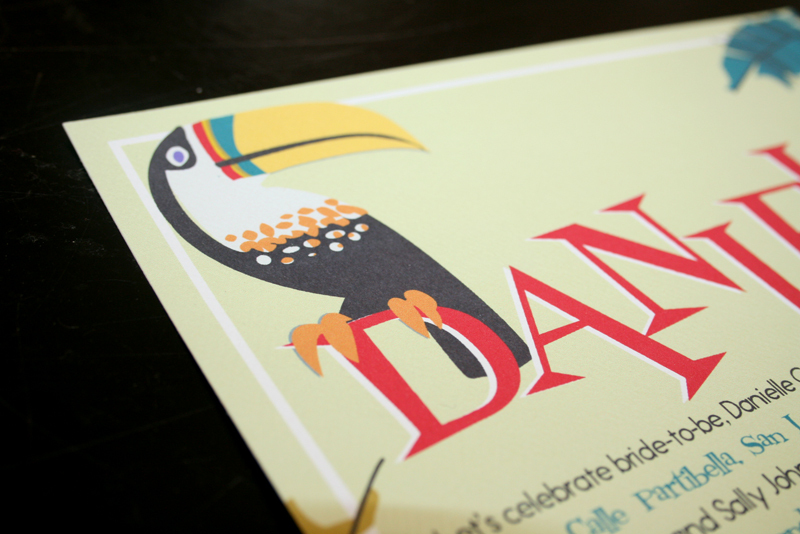 The colors were perfect, the fonts looked great, and I particularly loved how the toucan was sitting in the “O.” The bride-to-be didn’t have an “O” in her name so I had my toucan sit on top of the “D.” The same feel, just a a different execution. 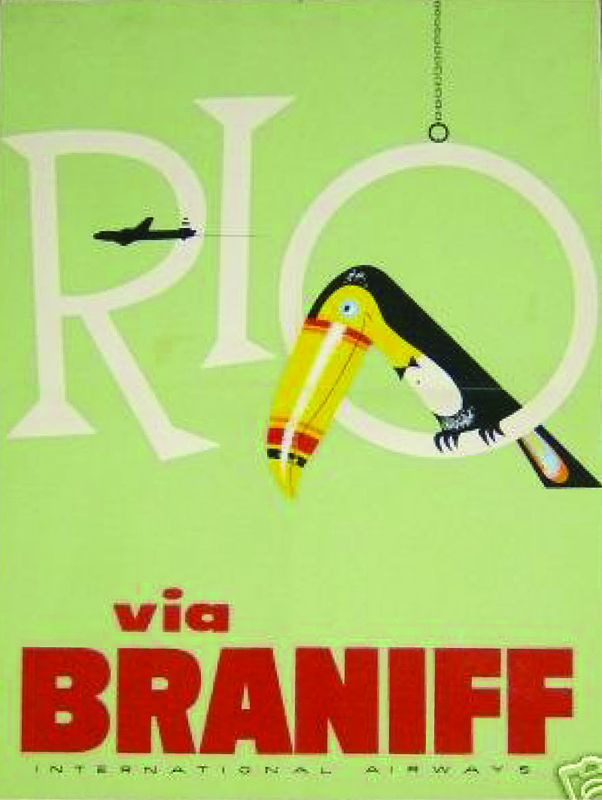 And isn’t he a friendly little toucan? 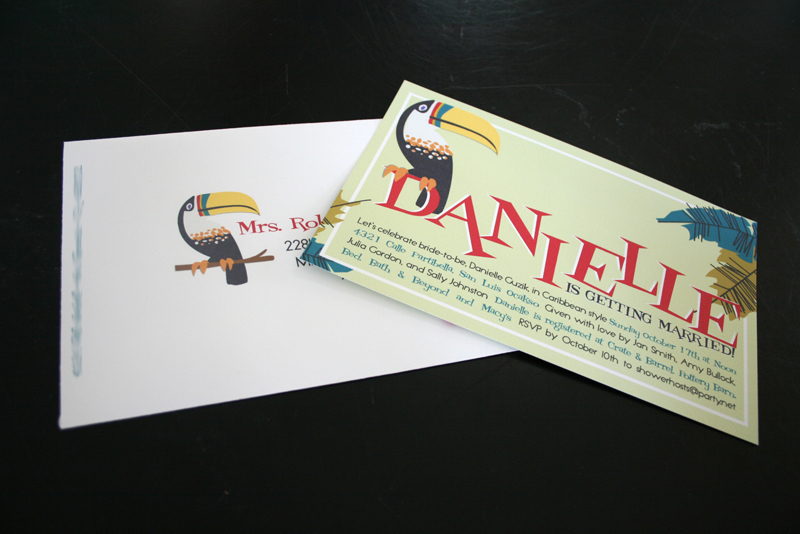 The toucan was too cute not to use twice so I had him sit on the outside of the envelope as well, right next to the address. 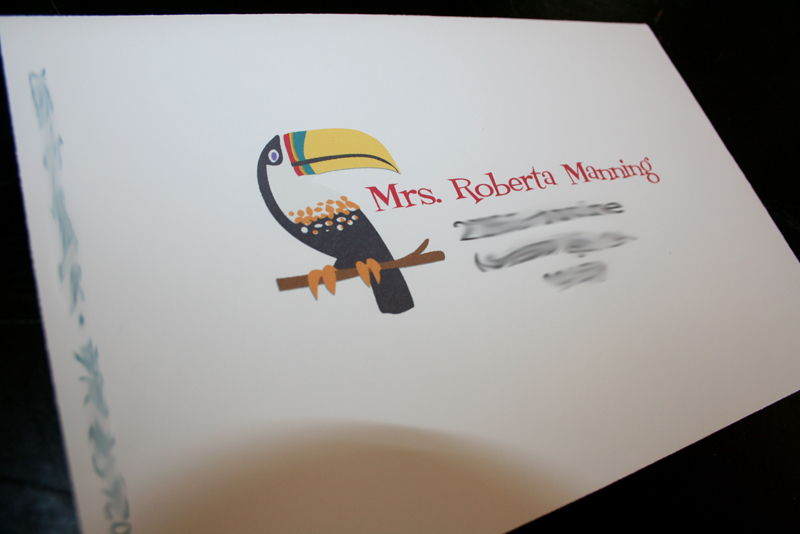 I lined the envelopes and printed on the back as well, just forgot to take pics. Oh well! I learn as I go! 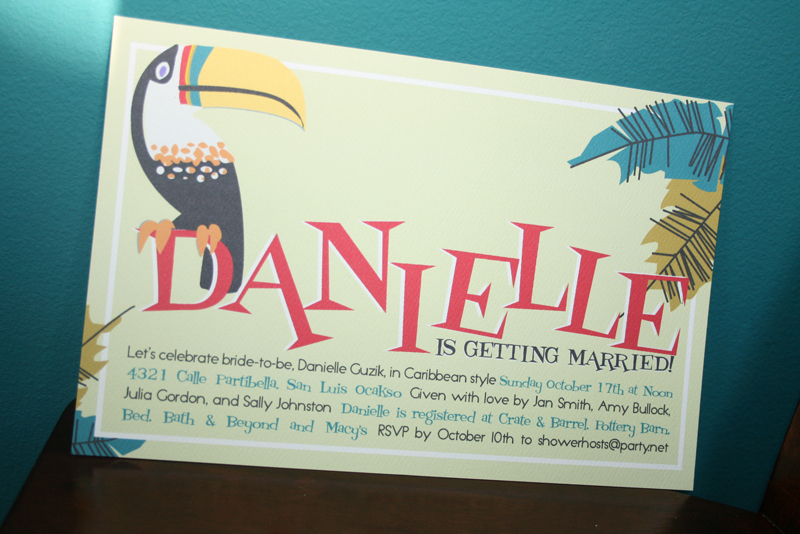 This entry was posted in invitations and tagged bridal shower invitation, caribbean theme bridal shower, party blog, toucan invitation by Annika. Bookmark the permalink.